Eileen Brennan Double Feature (Clue and Murder by Death) at the Trylon this Weekend! Posted on October 11, 2013 by Peter Schilling Jr.
Star-studded comedies were all the rage many, many years ago, and man we miss them. Well, the Trylon’s not one to leave this forgotten subgenre behind, and so we’re celebrating two of the very finest star-studded mystery comedies, with a weekend of Murder by Death and the board-game based Clue, both of which feature the wonderful Eileen Brennan, who died this summer. Murder by Death, from 1976, was based on the Neil Simon play, and stars Peter Sellers, Peter Falk, Brennan, Alec Guinness, Elsa Lancaster, Maggie Smith, David Niven, a not-sober Truman Capote, James Cromwell and that awesome 70s character actor James Coco. 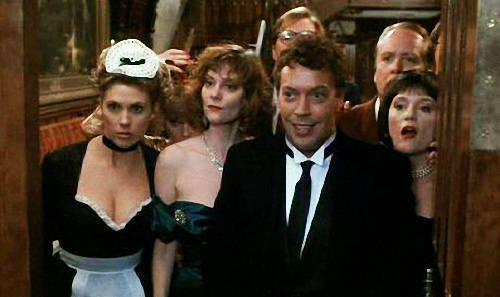 Clue, from 1985, is a cult classic, a flop in its day that delighted the few souls who went (often three times, once for each different ending.) Based on the board game, which was really just an excuse to have yet another Murder by Death style hootenanny. This one stars Brennan, Tim Curry, Christopher Lloyd, Michael McKean, Martin Mull, the hysterical Lesley Ann Warren, and the Jane Wiedlin, of the Go-Go’s. And the Tylon’s showing all three endings! Murder by Death shows Friday at 7:00, Saturday at 9:00, and Sunday at 7:00. Buy tickets here. 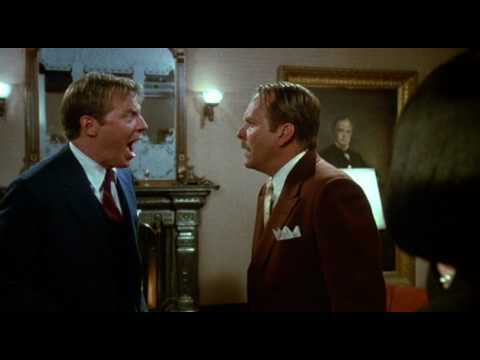 Clue screens Friday at 9:00, Saturday at 7:00, and Sunday at 5:00. Buy tickets here. Island of Lost Souls tonight at the Heights! 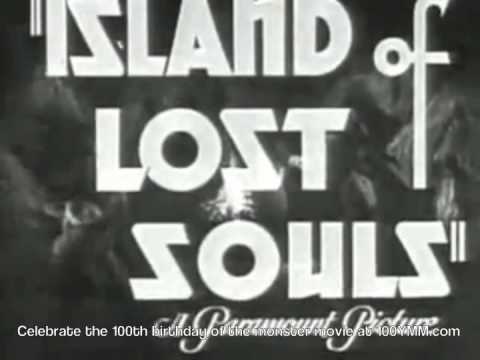 Posted on October 10, 2013 by Peter Schilling Jr.
Our Universal Horror series continues the beautiful Heights Theater with Island of Lost Souls, based on H.G. Wells’ Island of Dr. Moreau. This 1932 horror classic was banned in England until 1958, and is considered one of the most influential movies in its genre. 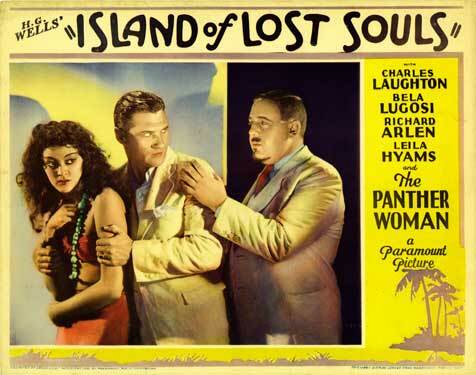 A shipwrecked man (Richard Arlen) ends up on Dr. Moreau’s (Charles Laughton, never better) remote island. There, he discovers insane medical experiments run amok, beautiful girls that are half cat, and more. Don’t miss this one! The Island of Lost Souls has one show only, at 7:30 at the Heights. The Wurlitzer will be playing as well. Buy tickets here! 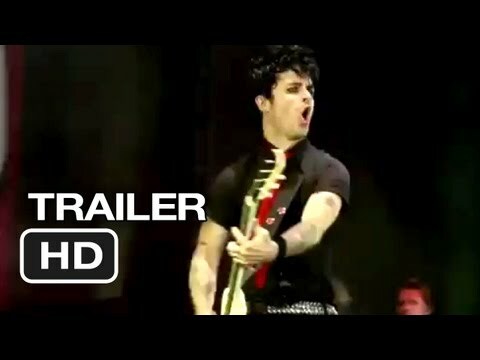 Posted on October 9, 2013 by Peter Schilling Jr.
Sound Unseen brings its often sold-out music docs to the Trylon once again, with Broadway Idiot, a documentary about Green Day’s hit musical. 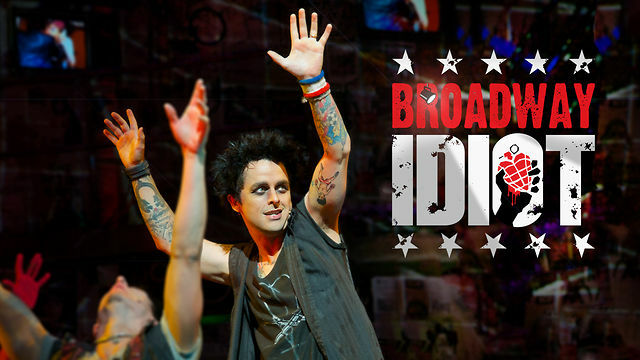 “From punk rock mosh pits and sold-out stadiums, this electrifying documentary follows Green Day’s Billie Joe Armstrong as he transforms his mega-hit album, “American Idiot,” into a staged Broadway musical. The film goes behind the scenes to reveal the creative choices and challenges made by Billie Joe and Tony Award-winning director Michael Mayer to create the thrilling and one-of-a-kind musical experience. Broadway Idiot has just one show tonight at 7:00. Buy tickets here! BLACK SUNDAY ON TUESDAY AT THE TRYLON! Posted on October 8, 2013 by Peter Schilling Jr.
Mario Bava! MARIO BAVA! Yes, the Italian master of horror, who really brought some real gore to the genre, gets his due at the Trylon this month. 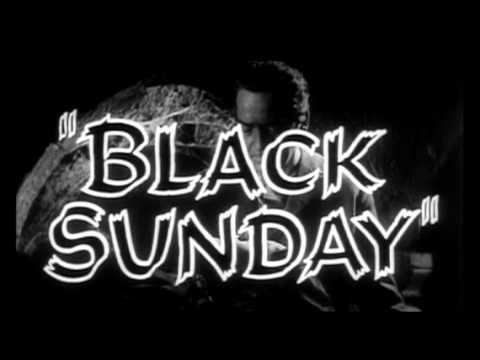 We’re launching our new series Mario Bava: Pioneer of Italian Horror tonight (and yesterday), with Black Sunday, one of the creepiest vampire flicks ever made. Turns out a vampire lady (Barbara Steele) is burned to death at the hand of her brother. But before she goes up in flames, she puts a curse on her bro’s descendants–200 years later, all hell breaks loose! For those of you for whom Halloween is a month-long affair, come check out Black Sunday, and the whole pack of Mario Bava splatter masterpieces! 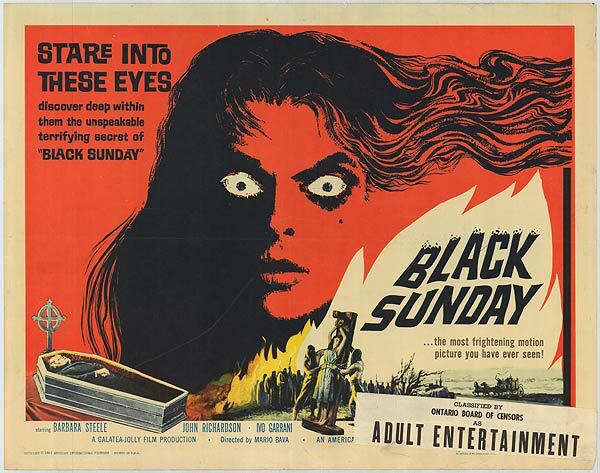 Black Sunday screens tonight at 7:00 and 9:00. Buy tickets here! Celebrate Trash Film’s 10th Anniversary with Scanners and a Maniac! Posted on October 4, 2013 by Peter Schilling Jr. Yes, gore lovers, Trash Film Debauchery’s all of ten years old, and to show how much we appreciate their celebration of all that is, well, trash in the cinema, this weekend the Trylon presents a double feature of head-exploding fun. David Cronenberg’s Scanners on 35mm, paired with William Lustig’s Maniac on old-school VHS! One ticket gets you into both shows. 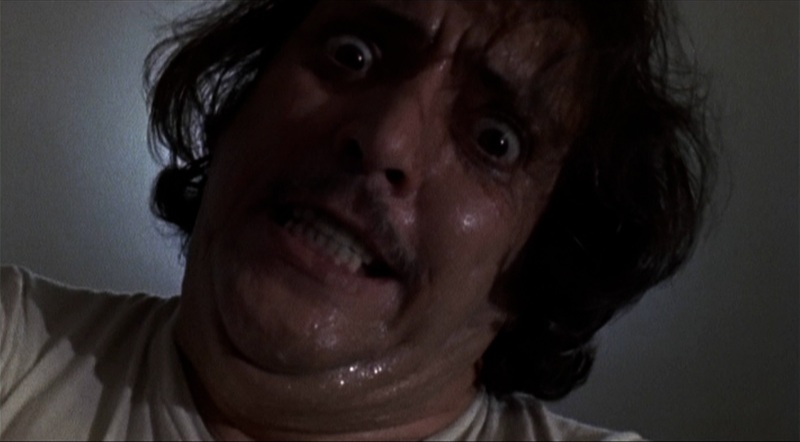 In Maniac, Joe Spinell plays Frank Zito, an overweight, very sweaty, confused, and paranoid, off-kilter murderer with Mommy issues. This film follows Zito around New York City in the early ’80s with a mixture of sounds including: heavy breathing, grunts, moans, sighs, footsteps, and (of course) heavy synth. He lives in a creepy apartment that has too many lit candles, along with mannequins that he steals from clothing stores. Zito has a compulsion to scalp the women he has murdered and place their scalps on the mannequins. In a conversation with a photographer that he befriends, he makes it clear that he believes that it is a reality to be able to keep a person forever within a photograph or painting… or through their mannequin-bodies-with-real-woman-scalps? Most of Maniac regards the painful pursuit for Zito. He is able to jauntily follow his mostly chosen-at-random victims as seamlessly as Pepe Le Pew seeks lovers. Some of the victims are couples, but most are women. 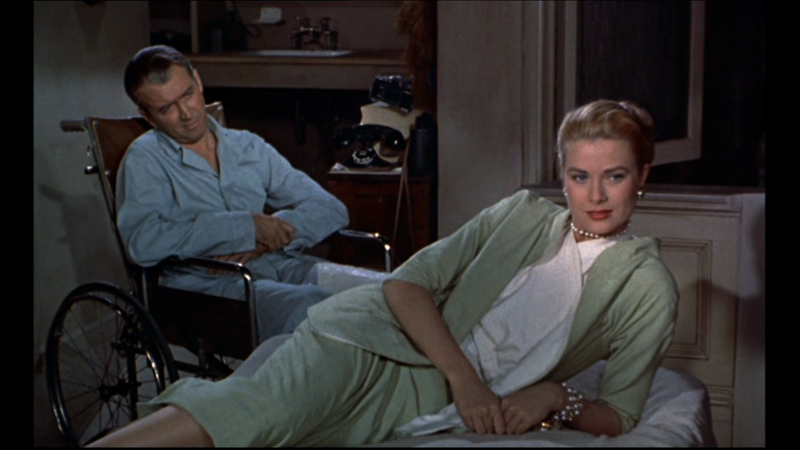 Each slaying is different with each victim; some of the shots are beautiful in their terror. Particularly enjoyable would be the couple in the car that Zito shoots point blank with a shotgun–there is something visually appealing in the gore. Scanners screens Friday, Saturday and Sunday at 7:00; Maniac splatters at 9:00 Friday and Saturday, and 5:00 on Sunday. Tickets ($8.00 for both shows, or one punch on your Trylon punch card, which you can buy for $25 at the box office, and good for five movies) are available here.